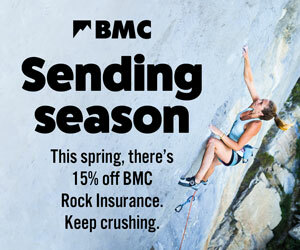 There'll be a final grand prize in February of two nights and one day out walking or climbing with world-class British mountaineer Andy Cave. Share a winter photo on social media with the #MAKEWINTERCOUNT hashtag to enter. Starting at the end of November, every month we'll choose our favourite photo from all the entries to send one lucky winner some awesome Lowe Alpine gear. The winner of the Grand Prize of a winter trip with world-class British mountaineer Andy Cave will be chosen in February. Get tooled up with all the skills at one of our winter lectures this November. These lectures are ideal for anybody who wants to learn more about winter mountaineering skills. You’ll go from bumbling about to striding with confidence to the summit after you’ve gained all the knowledge from expert Winter Mountaineering Instructors Sam Leary and Mick Jones.